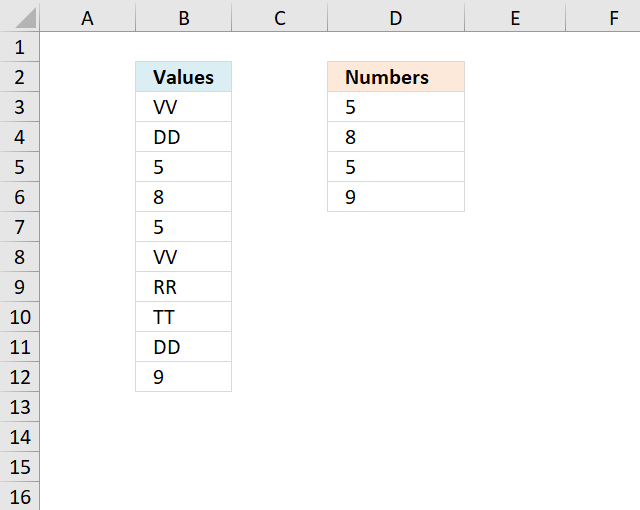 I this article I will show you how to get numerical values from a cell range manually and using an array formula. 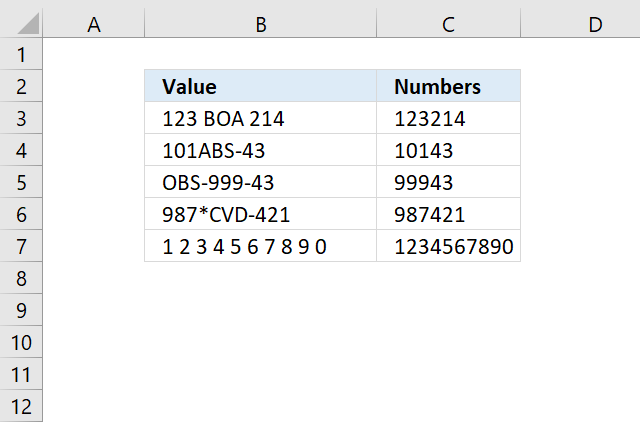 Lets get started, the steps below demonstrates how to select only numbers from cell range B3:B12 manually. 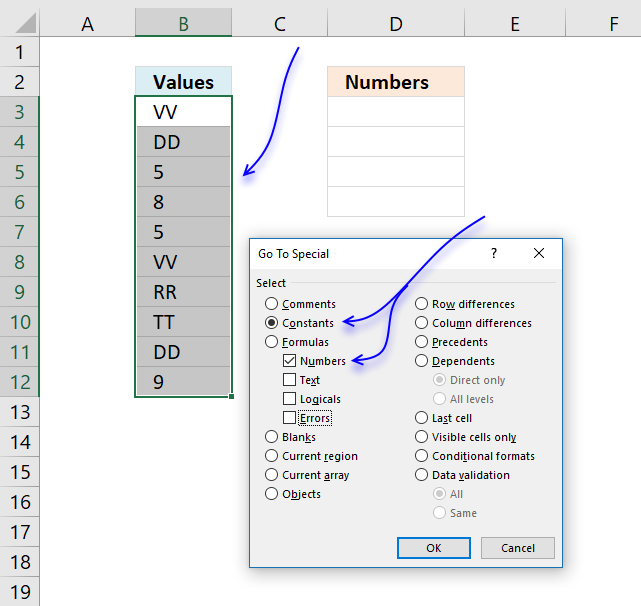 You don't need to select all cells containing numbers one by one, this trick willl save you a lot of time. Select cell range B3:B12 with your mouse. Press function key F5 on your keyboard. 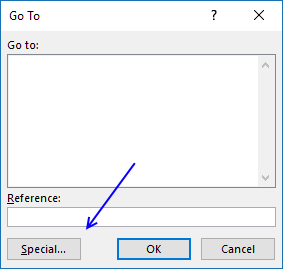 A dialog box appears, click "Special..." button. Another dialog box shows up, click "Constants". 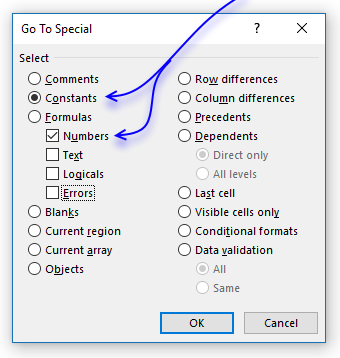 Note, if your selection contains formula then click on "Formulas". Make sure checkbox "Numbers" is selected only, see image above. The selection changes to only selecting numbers, see image above. 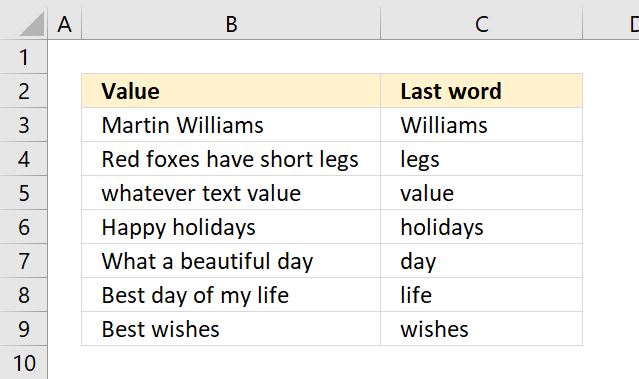 Select a destination cell with your mouse. 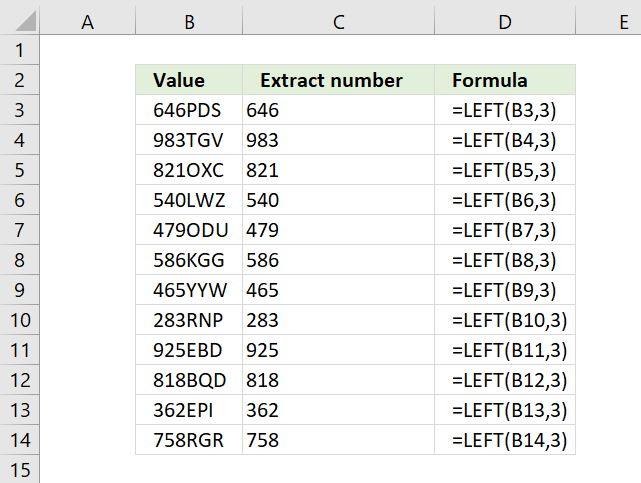 The image below demonstrates an array formula that extracts numbers only, this can be useful in a dashboard or interactive worksheets. 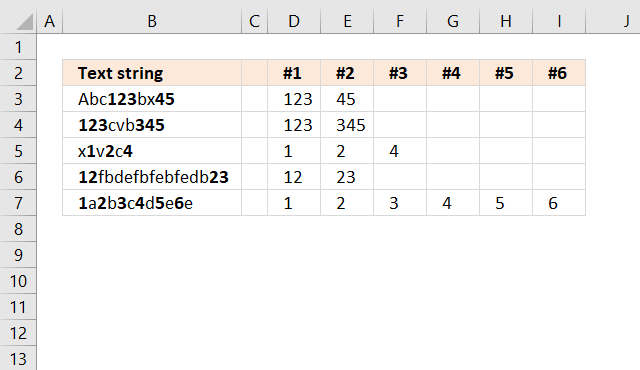 Question: I want to extract all numeric values into a new column? The ISNUMBER function returns TRUE if value is a number. The IF function returns corresponding row number if the logical test is TRUE and nothing "" if the logical test is FALSE. 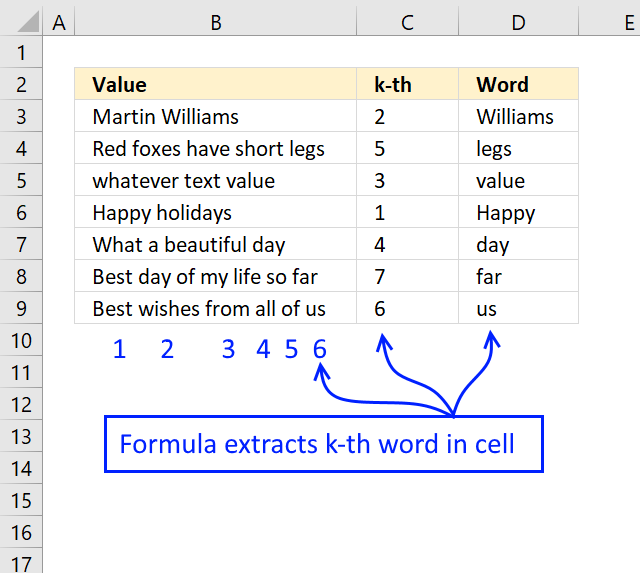 The SMALL function makes sure that a new value is returned in each cell. 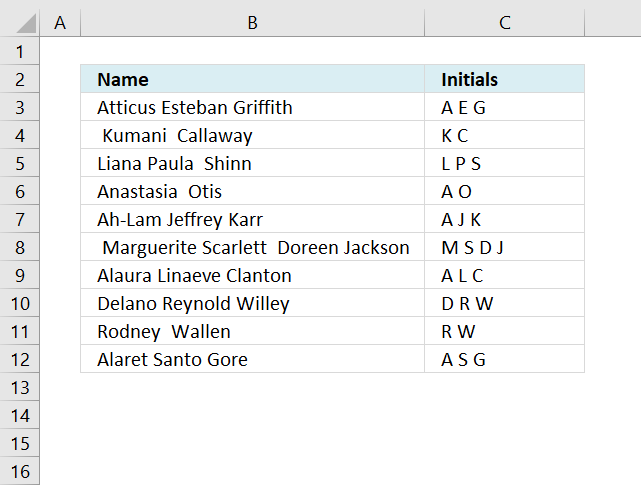 The ROWS function returns the number of rows in a cell reference, in this case, the cell reference expands when the cell is copied to cells below. and returns 5 in cell D3.